This website is a public resource of general information which is intended, but not promised or guaranteed, to be complete, accurate, and up-to-date. This website is not intended to provide legal advice, and therefore, does not invite or create an attorney-client relationship. Visitors to this website should not act, or refrain from acting, based upon any information available via this website, and should always seek the advice of competent counsel in the relevant jurisdiction. 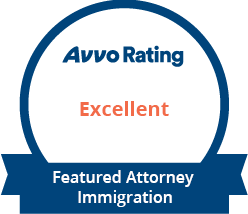 Nothing in this website is to be considered as either creating an attorney-client relationship between the reader and Immigration Solutions or as rendering legal advice for any specific matter. 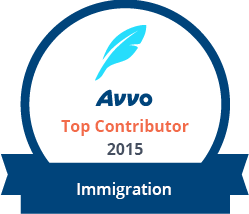 Readers are responsible for obtaining such advice from their own legal counsel. 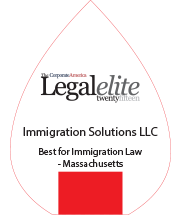 Immigration Solutions expressly disclaims any and all liability with regard to actions taken or not taken based upon the content of this website. This website is not sponsored or associated with any particular linked entity unless so stated. The existence of any particular link is intended solely to provide viewers with information which may be of interest to them. 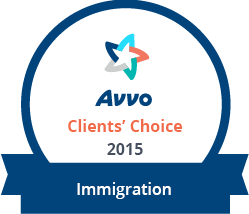 Immigration Solutions takes no responsibility for the content or accuracy of information contained on a linked site. Please contact us at info@immigrationsolutionsllc.com with any questions.